The lawsuit brought this week by a trio of U.S. senators challenging President Donald Trump's appointment of Matthew Whitaker as acting attorney general joins a dizzying array of legal actions that surround the Russia probe. WASHINGTON — The lawsuit brought this week by a trio of U.S. senators challenging President Donald Trump’s appointment of Matthew Whitaker as acting attorney general joins a dizzying array of legal actions that surround the Russia probe of special counsel Robert Mueller. Senators concerned about Trump’s constant criticism of the investigation into Russian meddling in the 2016 election are pressing ahead on both legal and legislative fronts, in efforts to protect Mueller. 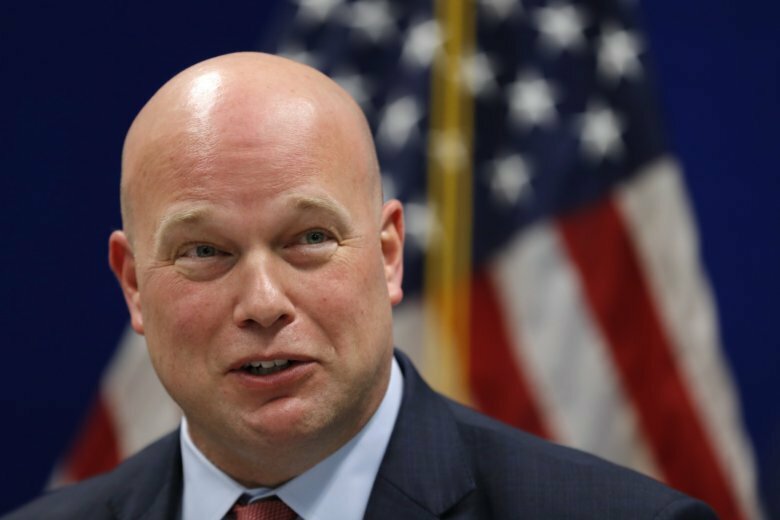 The suit filed Monday in U.S. District Court argues that Whitaker’s appointment was unconstitutional because he was not approved by the Senate. It was filed on behalf of Democratic Sens. Richard Blumenthal, of Connecticut; Sheldon Whitehouse, of Rhode Island; and Mazie Hirono, of Hawaii. Like many other Democrats, Sen. Ben Cardin, D-Md., believes the president has sought to interfere with the Russia investigation. They point out that Whitaker in the past has been critical of the Russia probe. Cardin also believes there are legitimate constitutional issues at stake with Whitaker’s appointment. “Mr. Whitaker is not confirmed by the Senate,” Cardin said in an interview with WTOP. Trump appointed Whitaker earlier this month after forcing out former Attorney General Jeff Sessions. The president had criticized Sessions many times for recusing himself from Mueller’s investigation into possible collusion involving the Trump campaign and Russia in 2016. In another legal development this week, the deputy solicitor general — who represents Mueller — said the special counsel’s authority to press ahead with his investigation will not be affected by Whitaker’s appointment. The statement came in a brief filed with the U.S. Court of Appeals in D.C. by Solicitor General Michael Dreeben. The filing came in a legal challenge to Mueller’s appointment by Andrew Miller, who was once an associate of Trump supporter Roger Stone. A three-judge panel of the D.C. Circuit is considering the issue of whether Mueller was required to be appointed by the president and receive Senate confirmation. Earlier rulings have upheld Mueller’s appointment as constitutional. As for Whitaker’s appointment, legal experts are divided over whether it’s constitutional. In addition to the lawsuit filed by senators Monday, Maryland Attorney General Brian Frosh has filed suit, arguing that Whitaker doesn’t have legal authority because he wasn’t approved by the Senate. The Justice Department has said the president’s appointment of Whitaker was legal and proper. On the legislative front, senators who support legislation that would protect the Mueller investigation are vowing to press ahead with efforts to get a floor vote. Senate Majority Leader Mitch McConnell, R-Ky., did not allow the measure to go to the floor last week. Sen. Chris Van Hollen, D-Md., said this week that lawmakers still have hopes for the legislation. But, he was careful to note that he’s not ready to tie up critical government spending to make that happen. Lawmakers face a Dec. 7 deadline on spending plans for several major federal agencies.